been to, It had plush leather seats and comfy double beds at the front of the Cinema. So you could lounge around and really get comfy whilst you watched the movie. 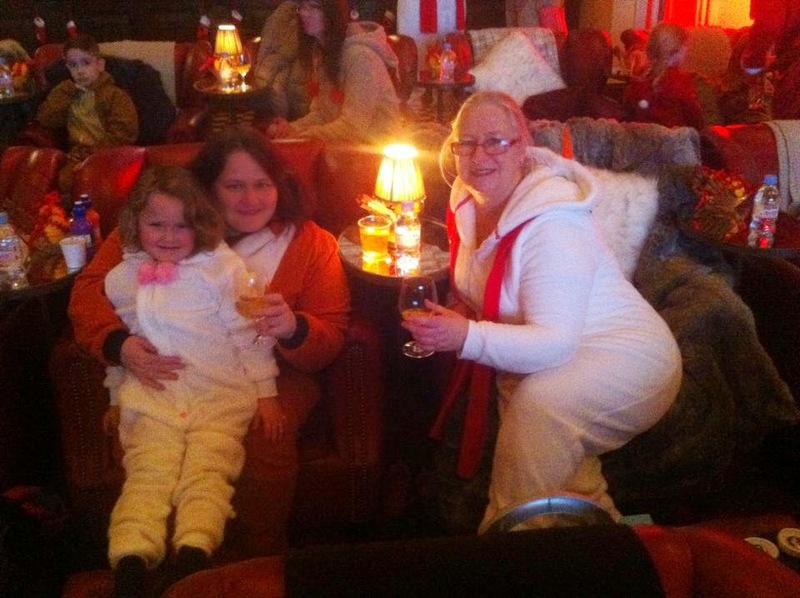 We put our onsies on and took our place, eagerly awaiting the start ofthe film. NowTv had even got The Edible Cinema involved so we could get involved with the movie by eating and drinking as we went along. Every time a number flashed up we had to reach to the pot with the corresponding number and eat or drink what was inside. We had to drink from the abandoned canal and lick the frog! we even had to eat the facepaint. It was all fun and an experience! 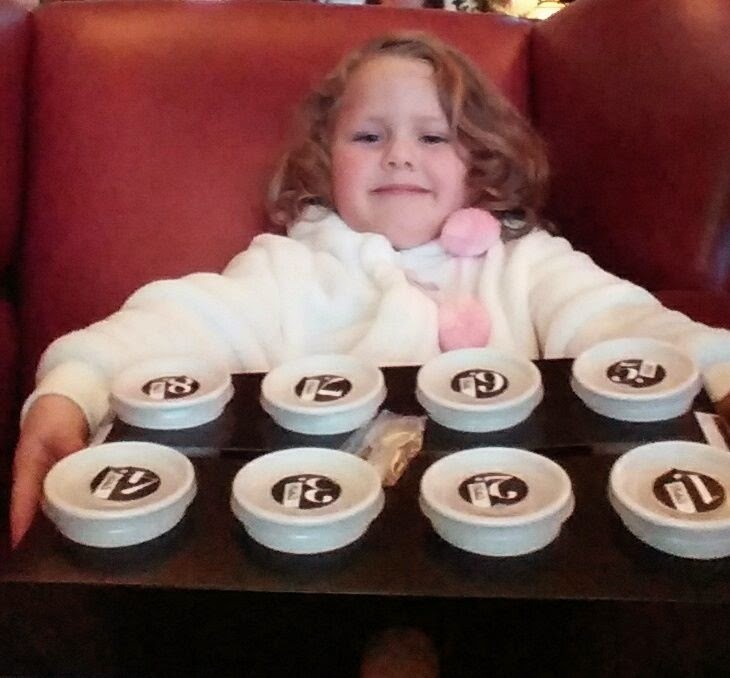 Tilly loved waiting for the numbers to come up so she could open the next pot.The big comfy seats and the cosy onsies made the experience really homely and comfortable. It felt like a real Christmas treat. When we left we were given a goodie bag with a NowTV box in it, to enjoy the cinema experience at home. 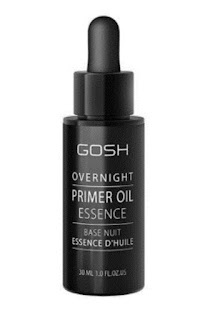 you don't even need an Ariel! 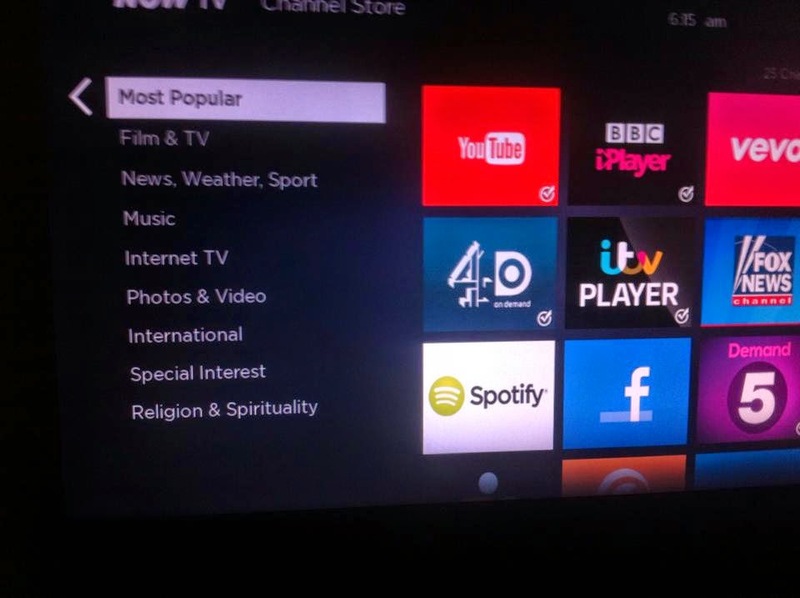 Once you switch it on you have access to free to view catch up internet channels and you can go to the App section and down load any apps you want to include in your set up. 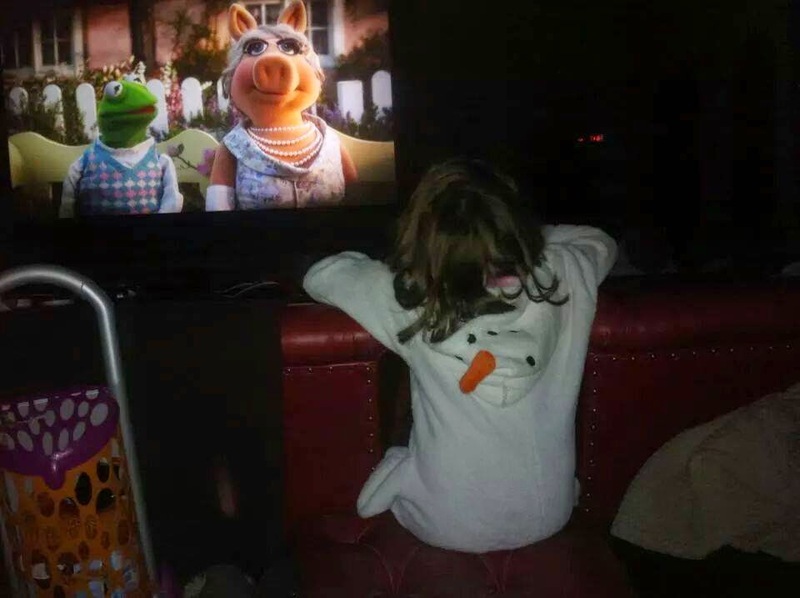 you want to do is go home and lounge about in your onsie with a hot chocolate, watching movies all night. With the NowTV box, you can also add Facebook so that you can browse your photos. 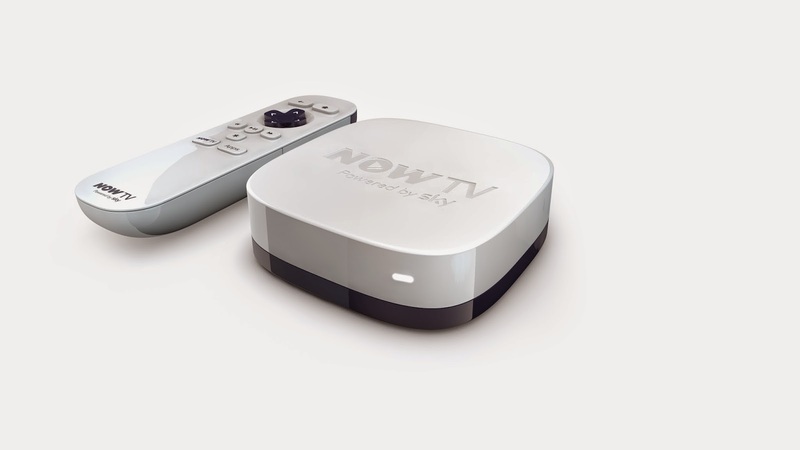 We were given a Limited Edition NowTV box that is decorated with gold sparkle pictures, These sell out as soon as they come in to stock but the normal white boxes are available online at NowTV where you don't have any contracts to sign, you don't have to commit yourself to any set time periods and you can cancel at anytime. The best thing about it is that you don't have any set up to worry about if you want to watch the channels straight away, You just pay for the subscription channels you want and then you are able to watch them straight away. 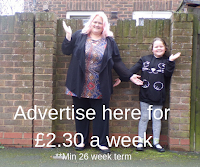 You can buy just the box for the price of £9.99 or you can buy the box with a subscription to some channels and save some money. 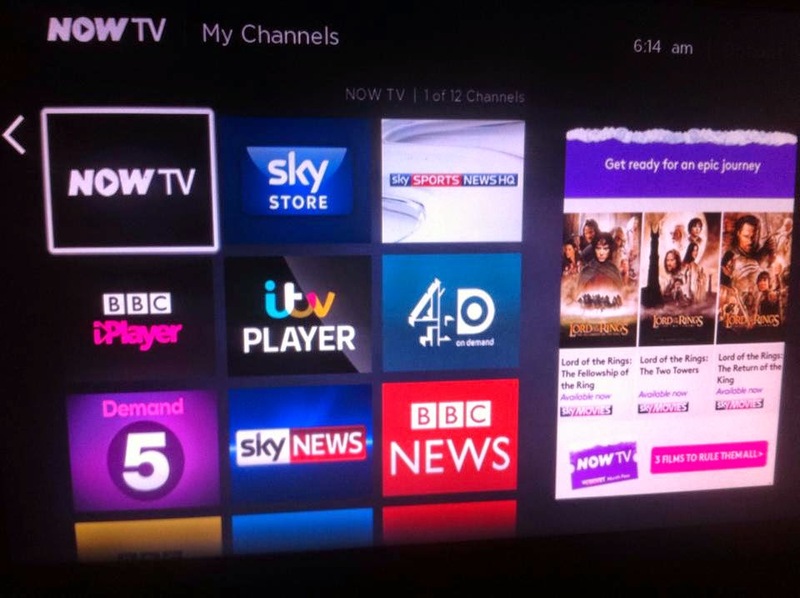 If you want a NowTV box in time for Christmas then you can pop to Argos to get one and set it up within minutes. You too can enjoy the #myonsieland experience.